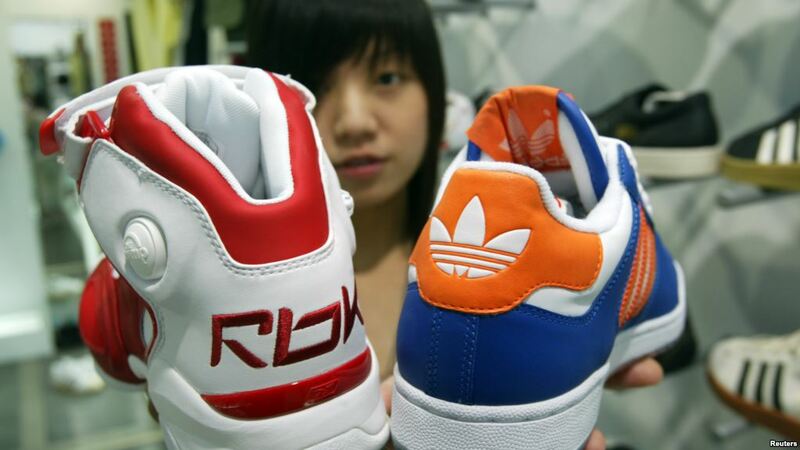 FILE - A saleswoman holds up athletic shoes by Reebok and Adidas in Taipei, Aug. 4, 2005. Phnom Penh – A Taiwanese owned company whose parent firm posted a more than half billion dollar profit last year has been refusing to pay compensation in line with an arbitration ruling to hundreds of Cambodian workers it made redundant. 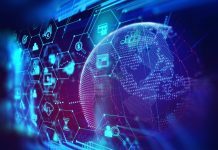 It’s parent company, Yue Yuen Industrial (Holdings) Limited, is the biggest footwear manufacturer in the world, supplying the likes of Nike, Adidas, Reebok, ASICS, New Balance and Puma.